With another new Pixar movie comes the promise of another new Pixar short film, and their latest effort looks as ridiculously adorable and heart-melting as you could possibly hope. It also looks way cuter than Lava — not that it would take much for Pixar to deliver something better than Lava (and good luck getting that song out of your head now). The company has debuted the first image from Piper, the new short film that will probably make your heart grow three sizes when it premieres before Finding Dory. 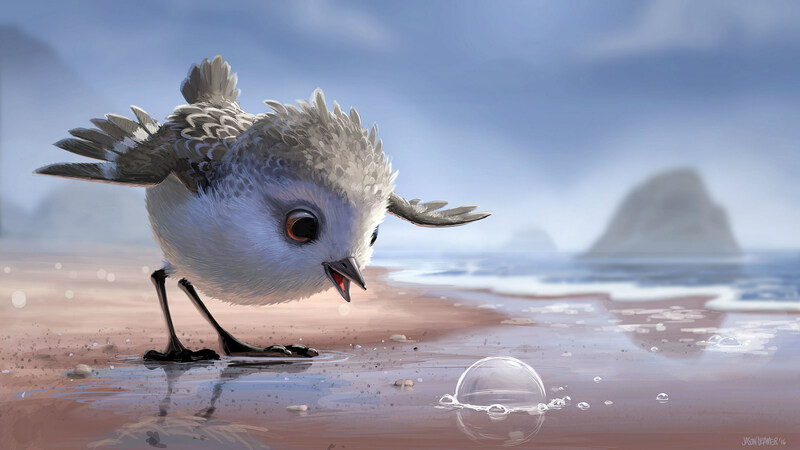 Directed by Alan Barillaro and produced by Marc Sondheimer, “Piper,” the new short from Pixar Animation Studios, tells the story of a hungry sandpiper hatchling who ventures from her nest for the first time to dig for food by the shoreline. The only problem is, the food is buried beneath the sand where scary waves roll up onto the shore. Piper hits theaters with Finding Dory on June 17.